The beginning of the next month, time for something new. I think about the blog, cryptocurrencies are already an old and well-known topic. What for some, if you're a freshman in earning then you should get acquainted with it. Generally, cryptocurrencies are a distributed accounting system based on cryptography. Their main function is to know about the state of contractual units. Bridge countries in the world, do not recognize them as a currency unit, and payment instrument or electronic money. In the light of the law, cryptocurrencies are only a digital representation of the contractual value. However, the possibility of using them does not end there. 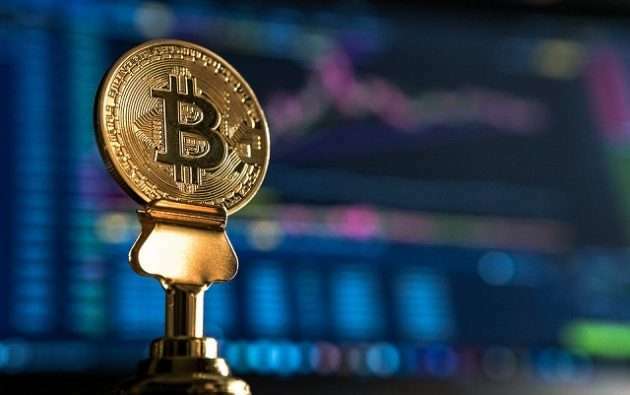 Currently, the technology that uses cryptocurrencies is used for the different types of chain: accounting books in banking, document authentication system, digital signature in the state administration and notary registration. So it is not a virtual system or money on the internet. Cryptocurrencies are the first of all breakthrough internet technology, and it is possible to use it. There would be no cryptocurrencies, if not for blockchain, the technology based on which, for example, Bitcoin was created. The essence of blockchain is to maintain a joint and collective accounting book of transactions, in a digital form, scattered across the entire network, in the same copies. This technology is based on a peer-to-peer network (one of the communication models in a computer network that gives all users the same rights) without central computers, management and transaction verification systems. What's more, blockchain is a solution that for the first time in history removes or deprives intermediaries in business transactions, thus increasing the value of existing products, services and interactions. Well, maybe someone at this point to ask, but how much is this safe technology? After all, banks (traditional financial institutions) for whom this technology became the number one enemy guaranteed (for which they were charged by appropriate fees) correctness of transactions. Well, it is safe because this technology offers simple and effective methods of verifying what is true and what is not - every participant in the process, both the producer and the consumer, can easily determine whether the data is true and unmodified. How to buy Bitcoins or other cryptocurrencies? The easiest way to simply buy is through a virtual exchange, exchanging classic money or selling a specific service The second way is the so-called digging bitcoins, or creating new ones. This is done by the users using the power of their computers to perform complex operations by the system, for which they are rewarded with a virtual currency - bitcoins. Their "digging" requires computers with high computing power and consumes a lot of energy. The more computing power of computers, of course, the greater the loot. Not just Bitcoin. What are other cryptocurrencies? Ethereum is sometimes called "bitcoin 2.0" and as a cryptocurrency it is one of the alternatives (like Litecoin, Ripple or Dash) for bitcoin. Although its creators prefer to think of it as a platform and programming language at the same time. For several months Ethereum has also been recording significant increases, which makes it a fairly lucrative investment. Interestingly, despite the bitterness of bitcoin in the world, the conviction that cryptocurrencies can serve people is still dead. For example, we will receive gridcoins if we use the computing power of our equipment for scientific research, eg to discover a drug for cancer or AIDS. There are also solarcoins, banana-pines (for investing in the cultivation of organic bananas) and a whole bunch of other variants. What about future of bitcoin? Just as it is not known how many cryptocurrencies will remain on the heights of popularity, and thus their value in online exchanges), just as in the way in which the blockchain or ether technology will be developed - by many called the new Internet.